On yourDubai city tour, you will notice many women with beautiful designs painted on their feet. In the Middle East, special events are marked by women painting their hands, wrists and feet with henna. It is fun to have henna designs painted on you especially while you’re relaxing on your overnight desert camp in Dubai.Most beauty salons around town will do the henna painting. They let you choose from their extensive collection of intricate designs. The process is usually quite quick, as the henna artists are fast at this craft. Sometimes, complex patterns are made by stencils (available at Dubai souks). These designs last for three weeks. 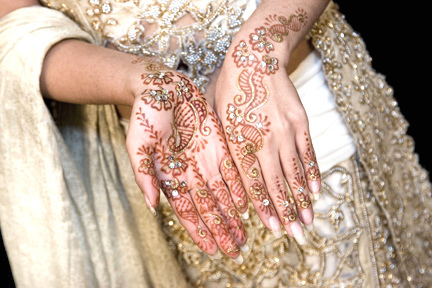 The practice of henna painting has taken roots throughout Arabia, India and the Mediterranean, and is becoming increasingly trendy in North America as well. This ceremonial painting can be traced back to the 7th Century BC and continues to rise in popularity to this day. Increasingly, street artists in resorts provide henna decoration of varying quality for tourists of both sexes. Tourism always tries to incorporate every tiny bit of Arab tradition that you are likely to enjoy into your tour packages to help you connect more meaningfully with Dubai. 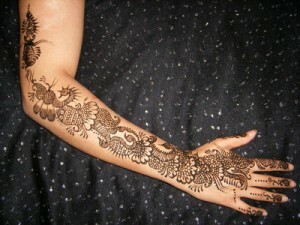 This entry was posted in DESERT SAFARI DUBAI, HENNA PAINTING, OVERNIGHT DESERT SAFARI by Thiyagu. Bookmark the permalink.